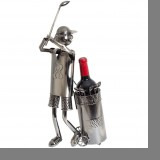 Welcome to our range of online gifts! With gifts for both him or her to choose from we hope to offer the perfect gift idea for a birthday, a thank you - for any occasion. Take advantage of our free gift wrapping service and let us do all the hard work for you. Order a gift online and we will carefully wrap the gift for you and handwrite the gift tag to go with it. 1st or 2nd class postage is available. Don't forget we have also teamed up with eFlorist the internet based florist website. Their link is on our homepage!